Tablet PCs are great for its smooth touch screen control functions but always suffer slower speed especially when comes to typing. If you are potential Samsung Galaxy tab owners and are looking to equip the device with a stylus for speedy typing, the recently announced Bluetooth stylus from Samsung could be your great choice. 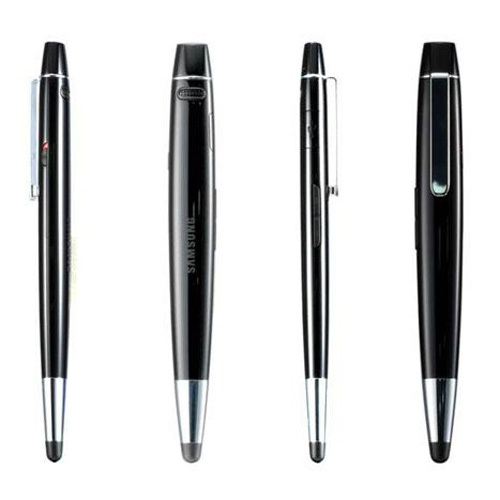 Available in few different stylish designs for selection, the capacitive stylus has been designed based on the needs for those prefer to write precisely on the tablet screen utilizing its handwriting recognition apps. To make it more useful, the stylus pen can act as a Bluetooth hands-free device that allows users to handle voice conversations through Galaxy Tab wirelessly. And not to be limited to a single pairing, it can pair up to two independent devices at the same time, providing additional value to both personal and business usages. Currently the stylus is already available for pre-order now at PLAY.com with shipping date confirmed on October 4th. Priced at £49.99, or equivalent to $79, it is a bit pricey as a single touch screen input device but could be an ideal companion for those that don’t mind to use it as extra hands-free functions while moving around.